Every year 186 300 children die from road traffic crashes around the world. That’s more than 500 children every day. Road traffic injury ranks among the top four causes of death for all children over the age of five years. According to data reported by the Moroccan Comité national de prévention des accidents de la circulation (CNPAC), young people below the age of 14 represent 15% of all the deaths on Moroccan roads and are most of the time pedestrians. Many of them young kids going or coming back from school. Against this background, the International Road Federation (IRF Geneva) and Motoring Club Morocco (MCM) have joined hands and initiated the project “Safe Roads, Safe Kids!” thanks also to the support of the FIA Road Safety Grant Programme. The project aims at showing the added value of working together and in a systemic way. “We aim at federating in one single project different actors and different kind of initiatives - normally undertaken individually (data collection & analysis, RS inspections/audits, RS education) in order to maximise their impact. These individual initiatives/projects - even when successful - are often short-term, limited in scope and so of limited impact in the longer term” says Susanna Zammataro, IRF Director General. The World Health Organisation has published in 2015 a document outlining 10 strategies which are proven and evidence-based for keeping children safe on roads (WHO “Ten Strategies to keep Children Safe on the Road”). “The measures we propose in this project are fully in line with the recommendations provided by WHO in this document and embrace the idea of a systemic approach which is at the heart of the Safe System Approach concept” IRF DG continues. Younger children are limited by their physical, cognitive and social development, making them more vulnerable in road traffic than adults. Because of their small stature, it can be difficult for children to see surrounding traffic and for drivers and others to see them. In addition, if they are involved in a road traffic crash, their softer heads make them more susceptible to serious head injury than adults. Younger children may have difficulties interpreting various sights and sounds, which may impact on their judgement regarding the proximity, speed and direction of moving vehicles. Younger children may also be impulsive, and their short attention spans mean that they struggle to cope with more than one challenge at a time. As they grow older, children of adolescent age are especially prone to take risks, compromising their safety on the road. 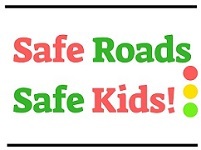 Safe Roads, Safe Kids! aims at building an evidence-based case that can be replicated in the rest of Morocco and hopefully exported also to other francophone countries. A workshop convening the different partners to the project was organised in Casablanca on 5-7 September 2018. Supported by the FIA Foundation, the workshop offered to the participants the opportunity to familiarise both with the methodology developed and used by AMEND around schools in Africa and also the iRAP School App. 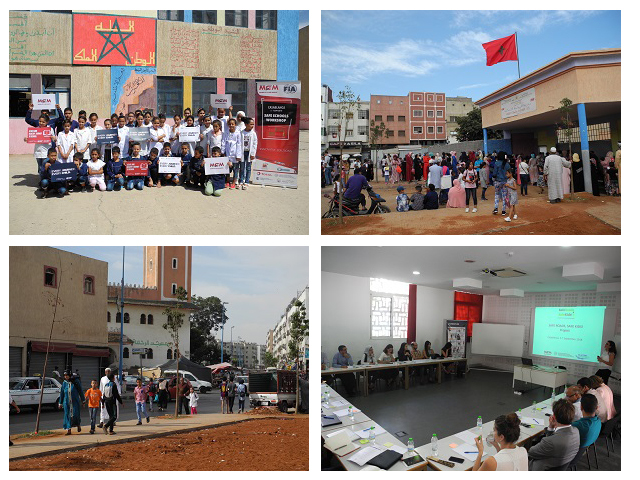 Participants to the workshop had a chance to put in practice these methodologies by performing the assessment of a school in an underprivileged area of Casablanca. “Every child deserves a safe journey to school. It’s only by working together that we can ensure that this becomes a reality for every kid in the world, independently of the country, city or neighbourhood where he or she lives” concludes Susanna Zammataro.